Born in Trenton, NJ and raised in Washington, DC, Kofi Handon is a father, educator, mentor, musician, artist, photographer, and an overall creative spirit. Throughout his life, he has always seen the beauty in most things, bringing smiles, laughter, and inspiration to those he encounters. As a child he loved to create and build with his hands, ready to show off his creations to everyone. Having graduated from Howard University, receiving his BA in History and MEd in Curriculum and Instruction, as well as a Graduate Certificate in Administration and Supervision from Johns Hopkins University, Kofi dedicated over fifteen years of his professional career to education. He has served in several capacities, including Teacher’s Assistant, Assistant Basketball Coach, Teacher, Social Studies Department Chair, Instructional Technology Liaison, 6th Grade Division Manager, Acting Director of Instruction, and Director of Instructional Technology. Throughout these various capacities, his focus has always been youth development through the infusion of technology and the arts. 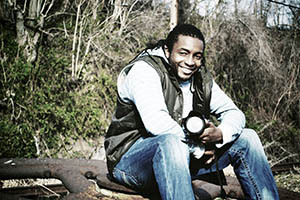 Kofi Handon is the Founder, President, and Lead photographer for Loves Life Photography LLC, a full service photography company officially established in 2004. 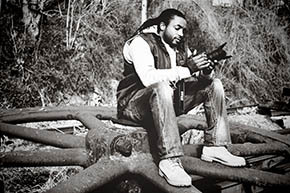 Kofi is an organic photographer showcasing the natural beauty of all things through his lens. Having always had a passion for photography even as a child, Kofi is dedicated to capturing life’s most precious moments through digital imagery. Given the weight of day to day struggles, he believes it is of the upmost importance to seize moments where the load of life is lightened by smiles, laughter, hidden message and love.